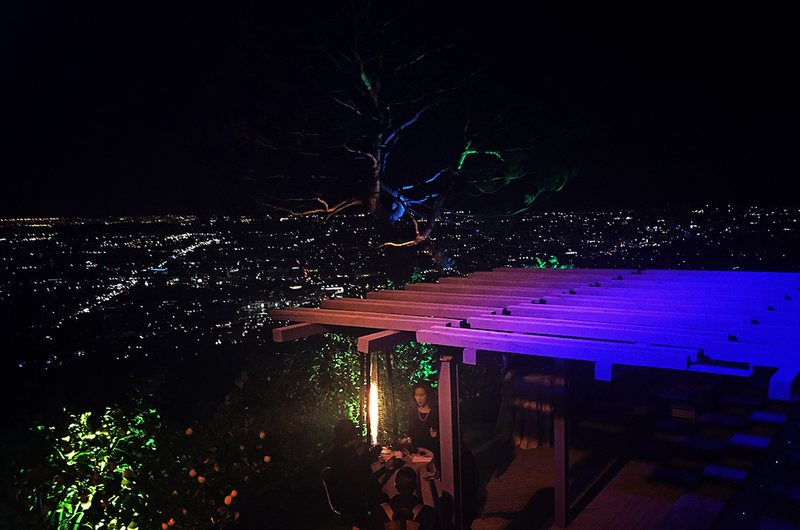 I received a strange and beautiful ‘M’ engraved on American black walnut the other day with an invite on the back for Marley Natural’s launch party somewhere up in the hills of Hollywood. The party would be a celebration of Bob Marley, his family’s new venture, and their love and respect for the herb. There was no way I was going to pass on that! Ophelia Chong of Stock Pot Images and I hopped in a black shuttle and headed up to a private residence where we were welcomed in by Yaadcore and the seductive smell of jerk chicken and cannabis. 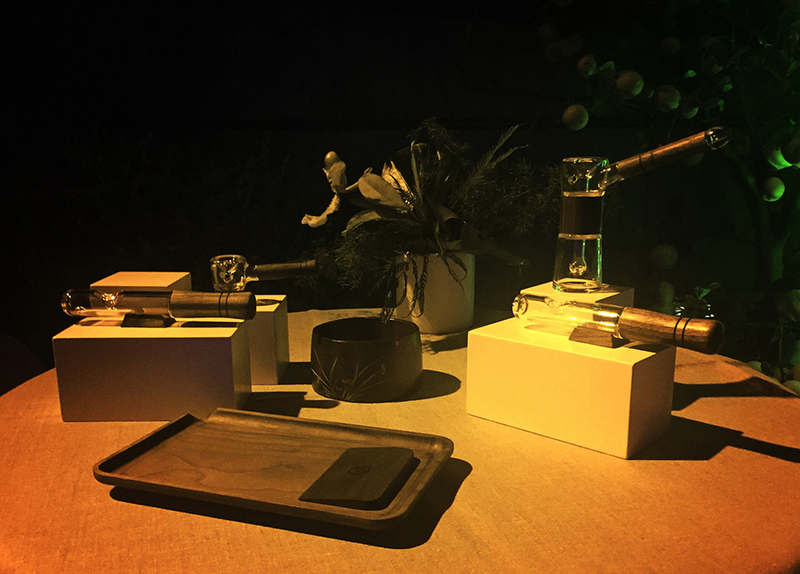 Inside were cases featuring the new line of hemp-seed body care products and black walnut accessories made with the same wood used for our invites! 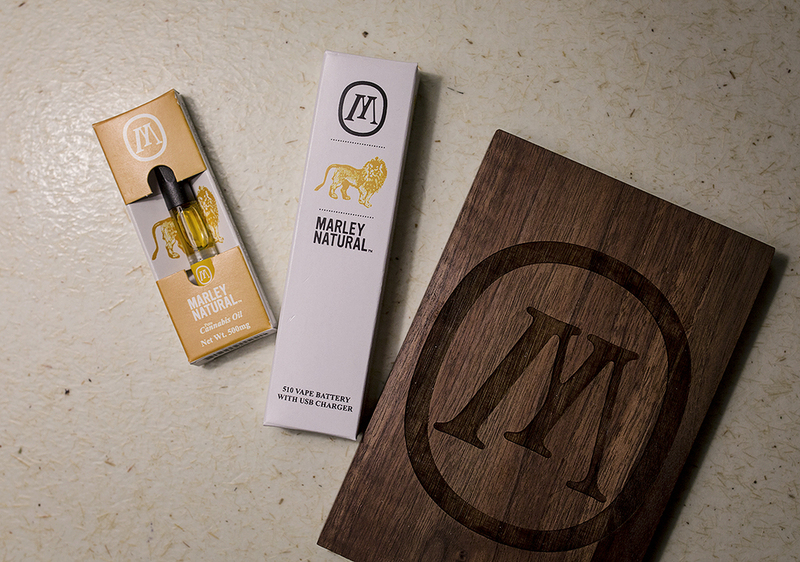 We wandered out onto the back patio to sample some Marley herb. Ophelia and I both grabbed vape pens with sample vials of cannabis oil—Indica for her, Sativa for me. We sat by the fountain, vaping, until Rose McGowan came by to enjoy the view with us. We swapped our favorite edibles stories until Mark Feuerstein and Dana Klein joined in. 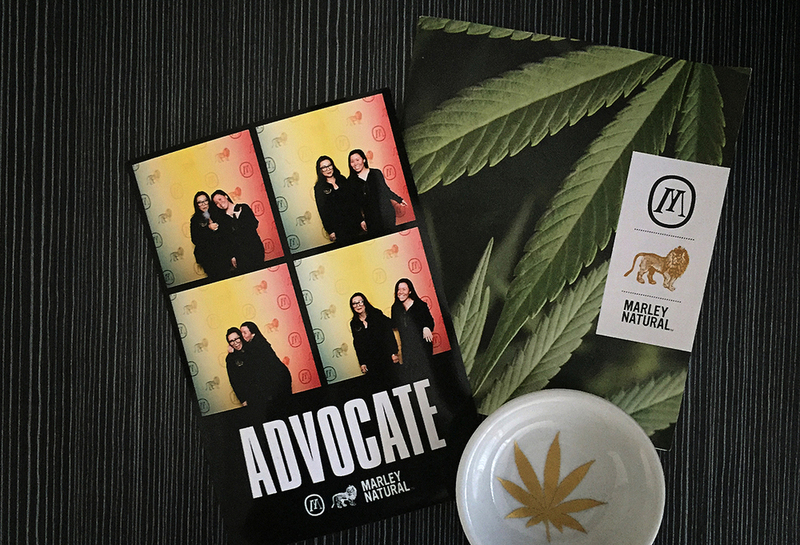 The night was filled with tasty herb and munchies, a surprise performance by Jhene Aiko, and connecting with the cannabis community. Good vibes all around.